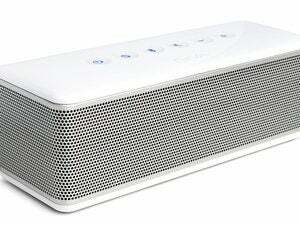 If you can get past its functional quirks, Questyle's player will reward you with lush, satisfying sound. 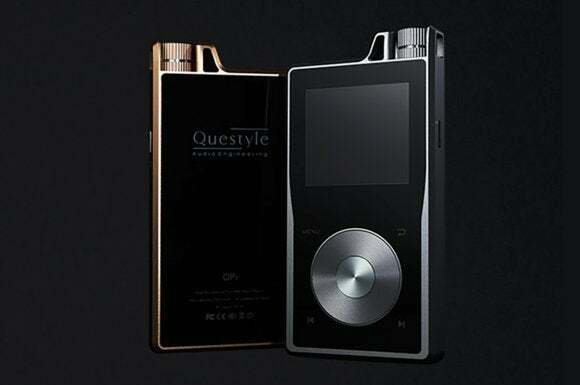 Questyle is looking to make a huge splash among audiophiles and music lovers with its QP1R high-res digital audio player. While the QP1R delivers lush sound and drives a wide range of headphones without needing an external headphone amp, it’s blemished by a flawed user experience. 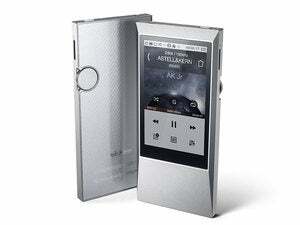 When I was preparing for this roundup, Questyle planned to send me their $599 QP1 player, which would have made it a much closer price comparison to the Astell&Kern AK Jr and the Pioneer XDP-100R. However, due to some supply constraints, they were kind enough to ship me their upscale QP1R, which sells for $899 (the “R” stands for “reference”). While it’s the same shape and size as the QP1, the QP1R has higher-quality components, more onboard memory, and higher specs overall. Looking at the QP1R, you’d swear you were back in 2001 because it looks so much like Apple’s original iPod. It feels hefty and solid, being about the size of a deck of playing cards and weighing in at 6.9 ounces. The top half of the player sports a color display while the bottom half is dominated by an old-school click wheel (Questyle calls it a steering wheel). The knurled volume-control knob at the top right of the unit recalls the stem on an analog watch. It’s protected on two sides by a metal phalanx rising up from the body, so the only way to adjust the volume with one hand is to use your index finger. That makes it difficult to use with one hand. The Questyle QP1R’s stem-like volume control is one of its most distinctive design elements. There’s nothing retro about what’s under the QP1R’s hood, starting with Cirrus Logic's incredibly powerful CS4398 DAC, which is capable of decoding high-resolution music files with up to 24-bit resolution and sampling rates up to 192kHz. That chip can also decode DSD128, 5.6MHz music files without converting them to PCM first. 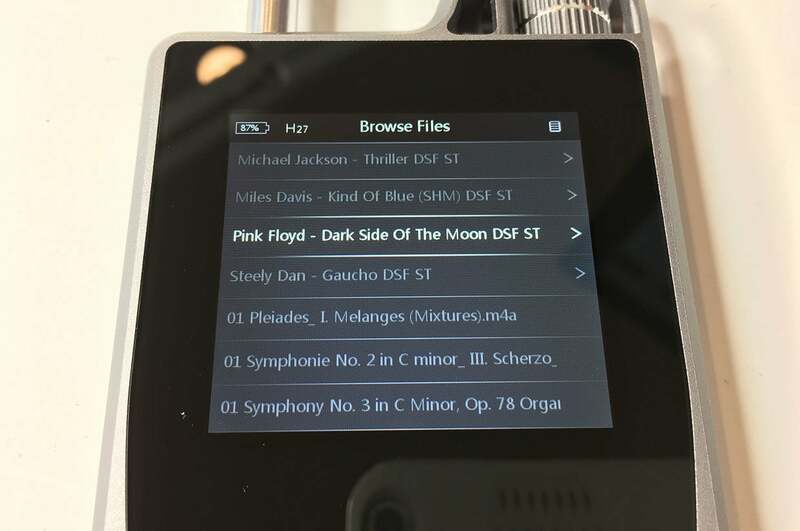 Sadly, Questyle has no plans to support MQA tracks with this model. There’s 32GB of onboard storage and two microSD expansion card slots capable of supporting cards up to 200GB each. But be warned: there are some 200GB microSD cards that don’t play nicely, so be sure to buy a reputable brand. The 3.5mm line-out jack next to the headphone jack is also a Toslink output. The QP1R lacks the wireless features you’ll find on competing players: Bluetooth and Wi-Fi are absent. You can’t use it as a USB DAC, either. 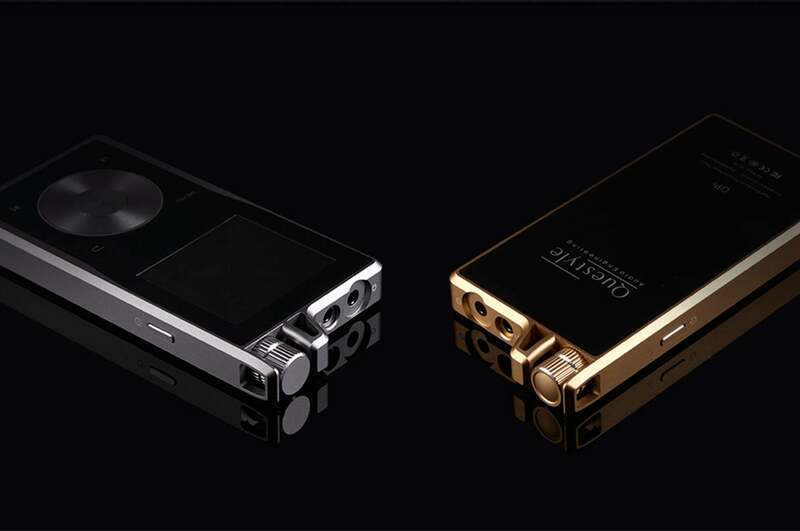 Questyle didn’t omit those features to cut its manufacturing costs. 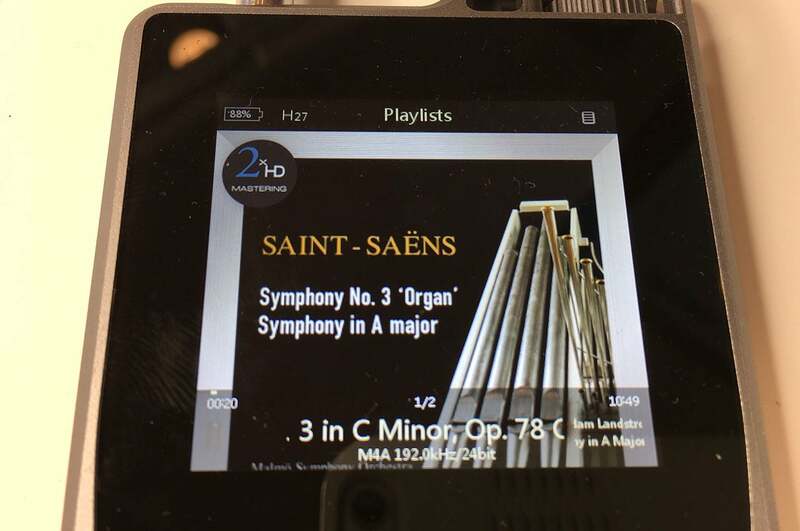 It left them out in the audiophile’s belief that they’re unessential components that could potentially, however negligibly, compromise the player’s audio performance. 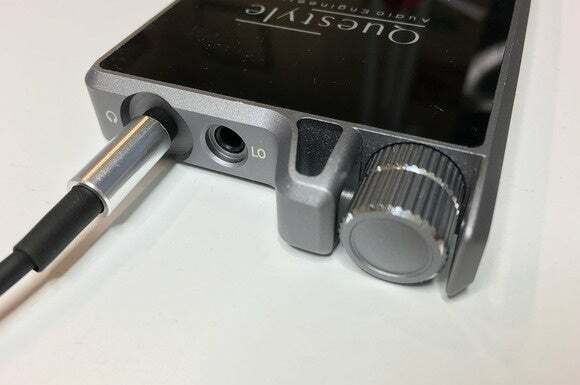 One feature the QP1R has that the other two players don’t is a Toslink digital output in addition to its analog headphone output (both are 3.5mm). Questyle includes a Toslink cable in the box. I won’t mince words: Questyle's steering wheel is a disaster. 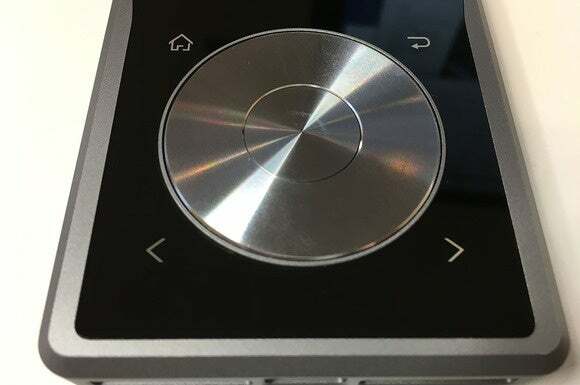 It’s not even a stationary, touch-sensitive wheel like what was on the old iPods (or even the first-generation Sonos controller, for that matter). Questyle went with a mechanical wheel, a design that Apple left behind because over time you’d start to have issues such as imprecise, phantom movements. You’d highlight something and then just as you’re about to click select it, the selection would nudge up or down. Questyle’s steering wheel is a navigational disaster. While the iPod’s click wheel was sensitive to a light touch, the QP1R is at the opposite end of the spectrum: You must press down on the steering wheel with some force. Use a light touch and you'll think it's moving when it's not. Pressing the outer edge yields better results, except that you run the risk of activating one of the touch-sensitive buttons surrounding the wheel. I accidentally ended up on a previous menu and on the home screen a few times after doing this. Questyle must have received complaints about the steering wheel because they offer a textured pad that you can affix to it. I didn’t get one with my review unit, but I would highly recommend it to anyone who buys a QP1R. The steering wheel renders awkward such common tasks as marking songs as favorites and adding a song to a playlist. To do either, you must play the song you wish to mark and then press and hold the home button. A small menu item will appear, giving you the option of adding the song as a favorite (with a small heart), adding it to a playlist, or deleting the song altogether. Because there’s no keyboard available, your playlists are identified simply as Playlist 1, Playlist 2, and so on. I guess that won't be a problem if you a) have an excellent memory, or b) don’t have many playlists. You can evidently copy playlists from JRiver Media Center or iTunes, but good luck managing those tasks manually. For all my bashing of the steering wheel, I don't consider that one shortcoming to be a deal-breaker. It's not impossible to master given enough patience. You can also use the forward and reverse buttons just below the steering wheel to accomplish most of the same navigational tasks. The font size is tiny and there are no graphical cues to show you different albums. So you have golden ears; how's your eyesight? If you have trouble reading small text, stay away from the Questyle. Not only is its screen the smallest in this roundup but its display fonts are tiny—and I mean tiny. Questyle confirmed that there’s no way to make the text any larger. Don't try using the QP1R in direct sunlight, either; it becomes very difficult to see the screen other than the highlighted selection. And when you're playing a song, the artist' and album's names scroll across the lower-left corner in an even smaller font. The information displayed on the Questyle’s already small screen is tiny. Try deciphering the album information in the lower-left corner. I've read footnotes printed with larger fonts. 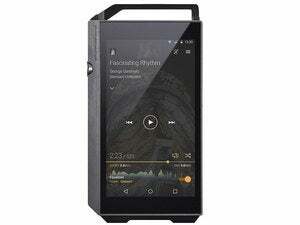 I could have been more tolerant of these shortcomings if this wasn't the most-expensive player in our roundup, and if the user interface on the lower-priced Pioneer XDP-100R's user interface wasn't so smooth and elegant. If you own really good headphones—especially high-impedance models that are difficult to drive—take note: One area where the Questyle shines is its ability to drive a wide variety of headphones. The QP1R features Questyle’s patented current mode amplification technology, combined with Class A circuitry. Audiophiles covet Class A designs for their lack of distortion. To help match the QP1R with your particular headphone brand and type, there are three gain settings (low, medium, and high). As a general rule, the low settings are recommended for use with in-ear monitors, and the high gain setting is recommended for over-the-ear headphones. If you really want to nail down the right setting, Questyle has published a PDF listing a number of audiophile-class headphones and their recommended gain settings. 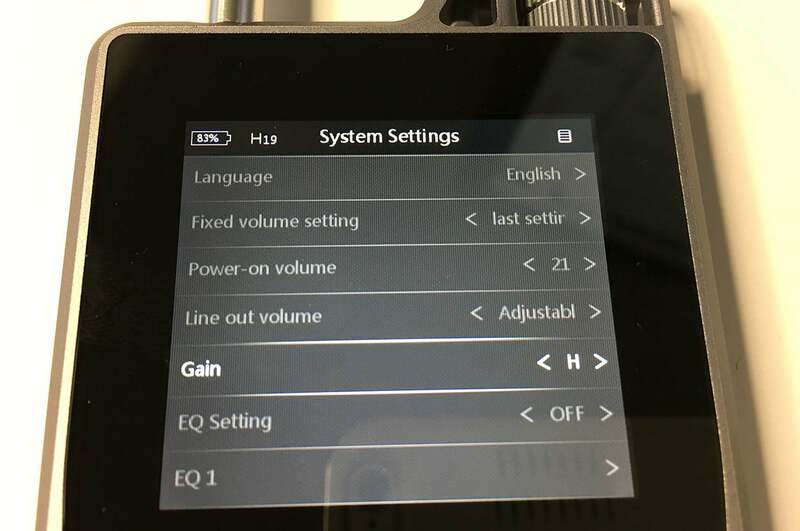 The QP1R has three gain settings to help you match your headphones. So how does the QP1R sound? I didn’t mince words about the user interface and I won’t about the sound either. If you’re wishing that the QP1R's sound redeems its other shortcomings, then your wish just came true: This high-res DAP sounds warm, smooth, beautiful, and endlessly engaging. This player delivered an incredible sense of musical presence, whether it was sessions with the B&W C5 in-ear monitors, the B&W P5 on-ear headphones, or the B&W P7s, the QP1R embraced them all and brought out the best in each. As good as the AK Jr and Pioneer XPD-100R are, they sound colder and more analytical when compared to the Questyle's device. 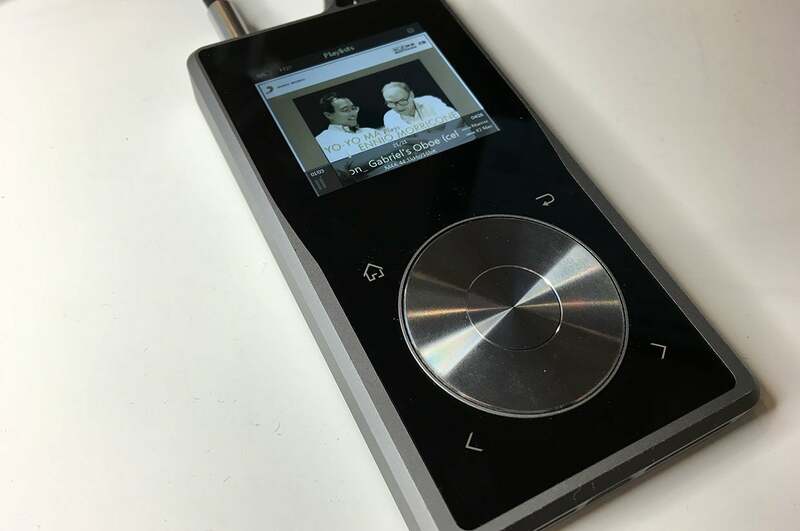 Despite its size, the Questyle QP1R had the smallest display of the three players we evaluated. 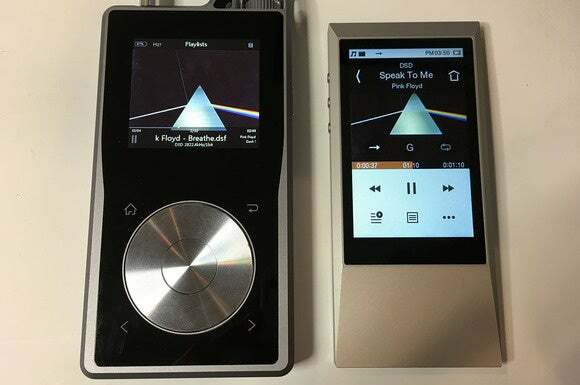 Even the smaller Astell&Kern AK Jr comes equipped with a larger and more legible screen. Playing the DSD version of Michael Jackson’s “Billy Jean,” from Thriller, revealed some of the QP1R’s abilities. The dynamics and punch of the opening drum sequence were exceptional, and then the synthesizer kicked in with its nails-across-the-chalkboard scratchy sound. The entire mix came together as a coherent whole, you could sense each instrument as distinctly as the layers in a delicous cake. The QP1R shines with female vocalists, too; from Adele to Alexis Cole to Patricia Barber, this player consistently delivered a smooth, oh-so-right presentation. Listening to Allison Krauss’ sweet-sounding vocals through the Questyle on the 24-bit/96kHz version of “Please Read the Letter” from Raising Sand was hair-raisingly good. 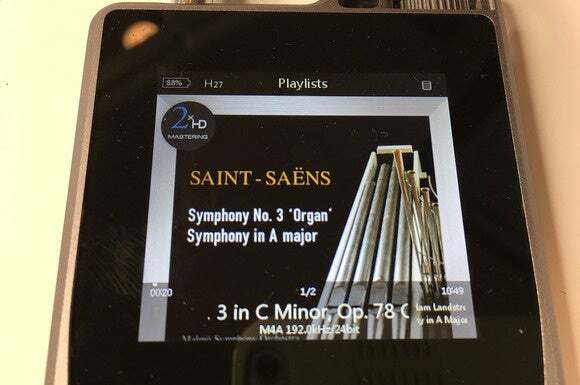 Pink Floyd, Steely Dan, or the glorious orchestral movements and deep organ notes from Saint Saens' Symphony No 3 all relished being played through the QP1R. Listening to music on this player is a delightful experience. Even CD-quality audio such as this ripped K2 edition of Yo-Yo-Ma Plays Ennio Morricone were beautiful to listen to on the Questyle QP1R. For example, listening to the 16-bit/44.1kHz version of Yo-Yo-Ma plays Ennio Morrcione was pure bliss. Listening to “Gabriel’s Oboe” from The Mission and “Dinner” from The Lady Caliph literally sent chills down my spine. And finally, while listening to Tomoko Sonoda and Norikatsu Koreyasu play “Spring can Really Hang You Up the Most” through my B&W P7 headphones, I had one of those freaky audio experiences where you pick up sounds you previously didn't realize were in the recording. I was not intimately familiar with this track but the jazz ensemble was evidently recorded live, as I could hear the occasional sounds of plates moving, people coughing, and other environmental noises throughout. The track’s ambience was so life-like that I removed my headphones several times thinking that the noises were coming from somewhere in my house. Ambience aside, the piano on that track was spot-on and natural. Bass lines were taut and well defined. There wasn’t a hint of anything unpleasant anywhere. In the Biblical Story of the Exodus, the Israelites had to endure 40 years in the wilderness before reaching the promised land. If you can endure the QP1R's break-in period and interface problems, you’ll be bountifully rewarded with a player flowing with rich, lush, satisfying sound. Hands down, this is the go-to player for the hard-core music lover and audiophile. The QP1R sounds divine, but its retro user interface will try your patience.